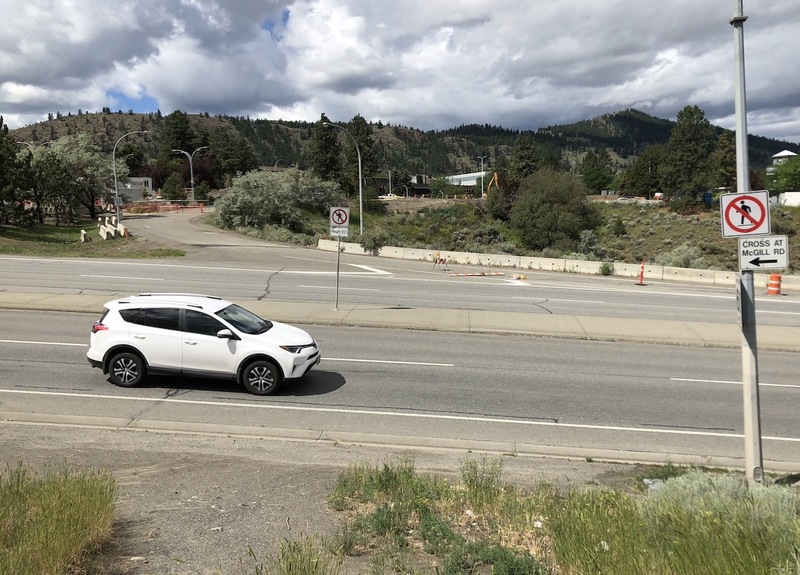 I CAN’T THINK of a worse place to spend a few million dollars worth of City taxpayers’ money than building a pedestrian overpass across Summit Drive from Upper College Heights to Thompson Rivers University. 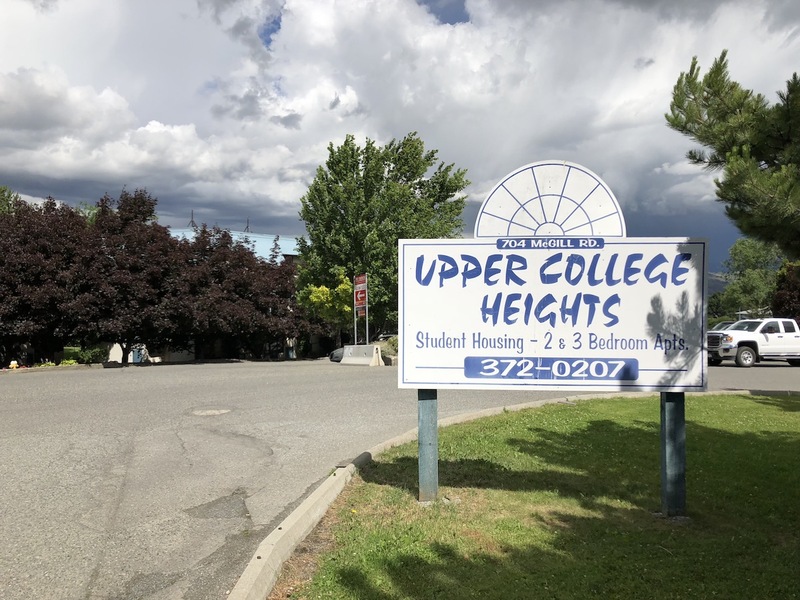 The decision by the provincial government to facilitate a loan of $25.5 million for TRU toward the purchase of the privately run Upper College Heights student housing facility is good news. In total, it’s a $37-million transaction that will provide another 142 student units on top of the 391 units already there. The bad news is that when the renos are finished next year there will be more students than ever making the short walk from Upper College Heights to the university on the other side of the Summit Drive connector. And already there’s renewed talk about the need for construction of a pedestrian overpass between UCH and TRU across that busy thoroughfare. It’s an idea that’s been around for years. The problem is with lazy students who would rather ran the gauntlet across the four-lane Summit Drive than walk an extra half a block up to the signal-controlled crosswalk at McGill and cross there. Sooner or later, there will be a tragedy on Summit. Some kid carrying a backpack full of books will shortcut across that street and won’t make it. A half dozen years ago, the estimate for building a pedestrian overpass — which a lot of students would ignore anyway — was $2.5 million, so figure on doubling that now. At the same time, building a fence — which has been recommended since 1993 — would have been about $250,000. But even the fence has been ignored because of cost. Something has to be done but it’s not the duty of City taxpayers to do it. It’s TRU’s problem, and it should be TRU’s or the province’s money that fixes it, whether it be an overpass or the much more sensible fence. Not one thin dime of City taxpayers’ money should be spent to bail TRU out of its responsibility on this one. Regardless whose cash is used to build a pedestrian overpass, I’ll bet that a certain percentage of “users” won’t even want to put forth the effort to climb, cross and descend. They will still take their chances and run across the multilane traffic. The City may still be on the hook for liability issues and maintenance. But, capital cost shouldn’t be heaped onto municipal taxes. TRU brings a great deal of money into Kamloops, including from international students. Aside from tuition, they rent, shop, dine in the City. The whole City is enriched by the university. And “lazy students?” We ALL take the shortest route. And I for one don’t want even more people crowding through the intersection of Summit and McGill. An overpass would relieve congestion, speed things along, serve the whole community, not just students. Last, look at the growth at TRU. It’s has been growing constantly since inception and will be much bigger in five, 10 years. The problem is small today. It will be overwhelming in a few years. Absolutely bang on. In this case it would be if you build it, they will not come. That is the nature of young people. If they won’t walk to a traffic light, they also will not walk to an overpass. No overpass for this taxpayer. There is an entirely adequate traffic light system and crosswalk a few metres away, use them. If you’re not smart enough to do that, perhaps a college education isn’t going to do you much good…. Not true at all. As a walker and a cyclist, getting across the super-busy commercial area of Sahali is a challenge and it is dangerous. Because all of this area was built to accommodate vehicular traffic without much thought to any other alternative for getting around, the City is responsible not only for a proper overpass near TRU but others as well. Intersections at Summit at Notre Dame, Columbia at Notre Dame, Columbia at McGill, Columbia at Summit and a few others are just as dangerous to navigate as Summit at McGill. Perhaps the people in charge of designing/planning that area need a first rate scolding…at the very minimum.